One of our favorite fall-time activities is pumpkin carving, but let’s not forget that pumpkins are good for more than just decorations! Cinnamon roasted pumpkin is a delicious, healthy autumn dish that can either be served as a side-dish to your main course or as a dessert. Step 1: Preheat oven to 325 degrees Fahrenheit (162 degrees Celsius). 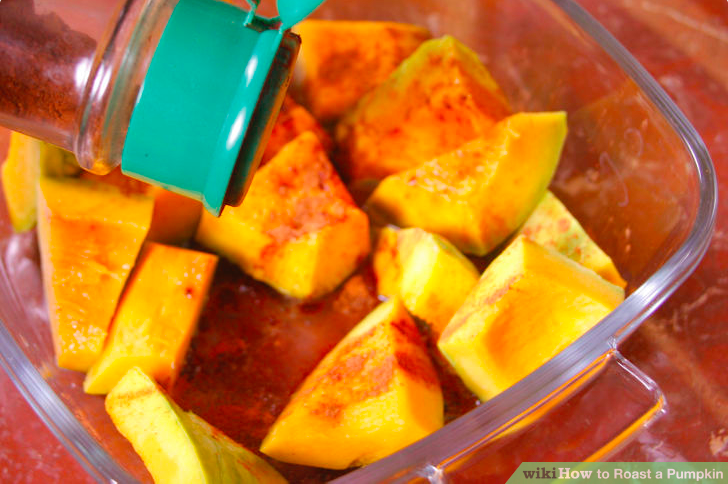 In a small bowl, add the sugar, cinnamon, and salt. Mix together. Step 2: Slice. Use a chef’s knife to cut the pumpkin into 2 inch (5.1 cm) pieces. 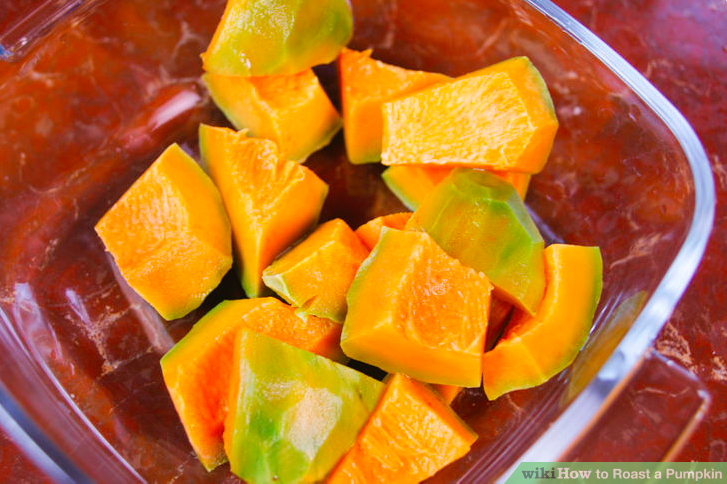 You can either cut them into cubes or slices that are about 1⁄4 inch (0.6 cm) thick. Step 3: Coat the baking dish. Coat baking dish with cooking spray, olive oil, or butter to prevent the pumpkin from sticking. Place the pumpkin into the baking sheet. Step 4: Add oil. Use a basting brush to cover the pieces with peanut oil, olive oil or butter. 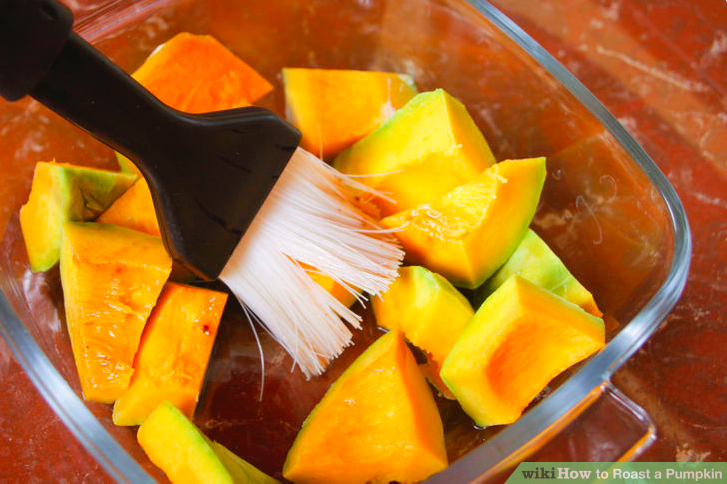 If you do not have a basting brush, then use a spoon to drizzle the oil onto the pumpkin, being sure to coat each piece. Step 5: Sprinkle seasonings. Sprinkle the pumpkin with the cinnamon and sugar. Cover the baking dish. Step 6: Bake. Have the pumpkin bake in the oven for 40 minutes. 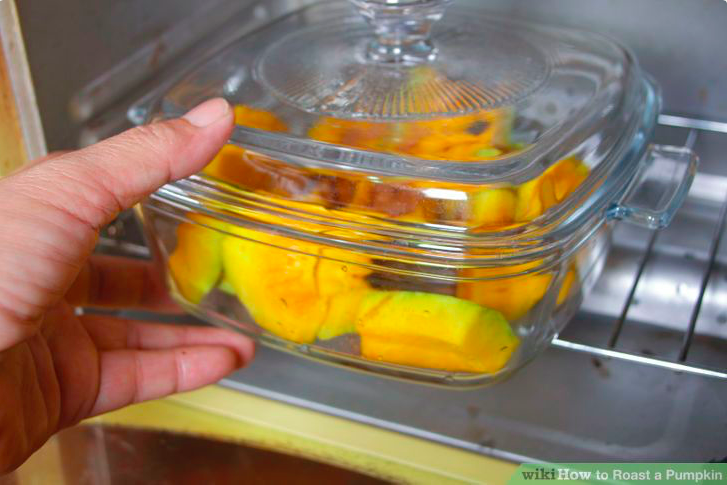 Remove the baking dish and stir the pumpkin, then bake again, uncovered, for an additional 15 minutes. Pumpkin should be soft when finished. Step 7: Allow to cool and then serve. 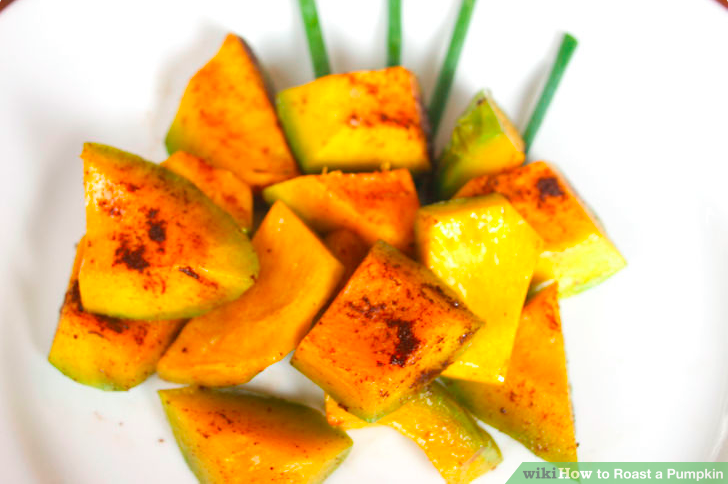 Pumpkin can be served as a side dish or as a dessert. Consider serving with whipped cream or vanilla bean ice cream. Dust with a little bit of spice for a nice presentation, & enjoy! 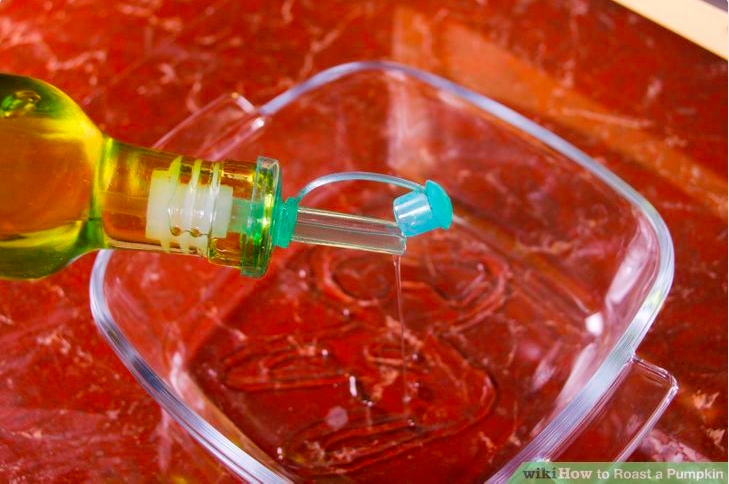 The instructional portion of this article was provided by wikihow, a wiki building the world’s largest, highest quality how-to manual. Please edit this article and find author credits at the original wikiHow article on How To Roast a Pumpkin. Content on wikiHow can be shared under a Creative Commons License.